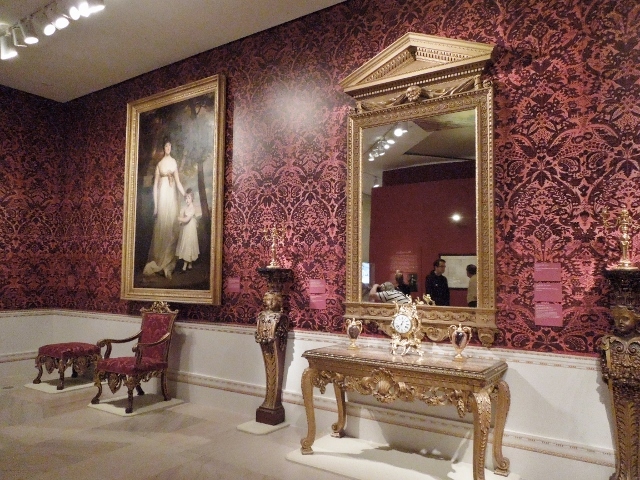 This gallery has paintings and 285-year-old furniture from Houghton Hall’s Saloon room, and a copy of its wallpaper. 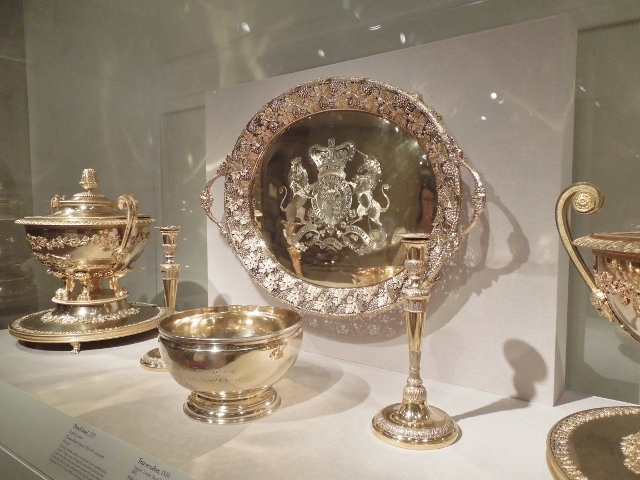 It’s not the real Houghton Hall in Norfolk, England, but a San Francisco museum has plenty of its furnishings and art. Different rooms of the hall are depicted in the rooms of the California museum. Houghton Hall was built in the early 1700s by Sir Robert Walpole, the first de facto British Prime Minister. Houghton Hall: Portrait of an English Country House is an exhibit at the Legion of Honor, a grand building itself. The grounds have a sweeping view of San Francisco, the Golden Gate Bridge, and sea cliffs. The exhibit will be there until January 18, 2015. 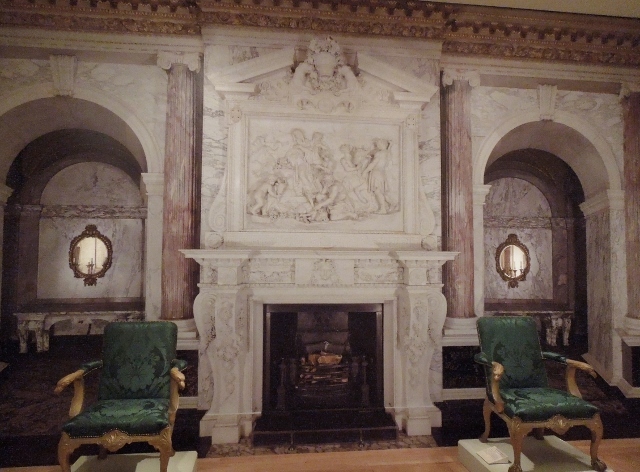 Furniture from the Marble Parlour in front of a large photo of the real parlour papering the wall. The Marble Parlour was a dining room, and its beautiful china and silver is here along with its chairs, above. 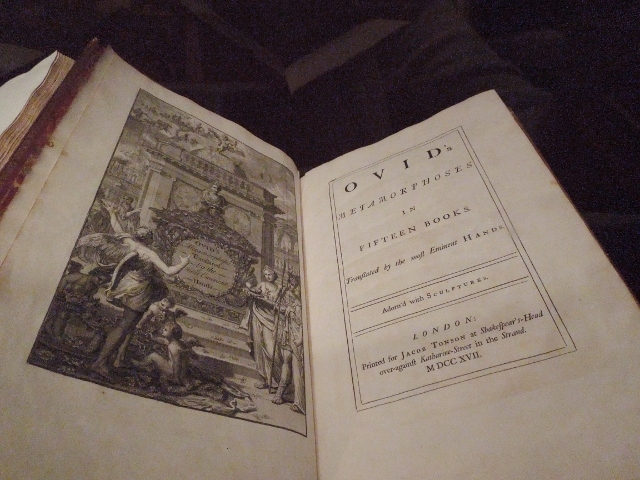 The Library, as displayed in San Francisco’s Legion of Honor. 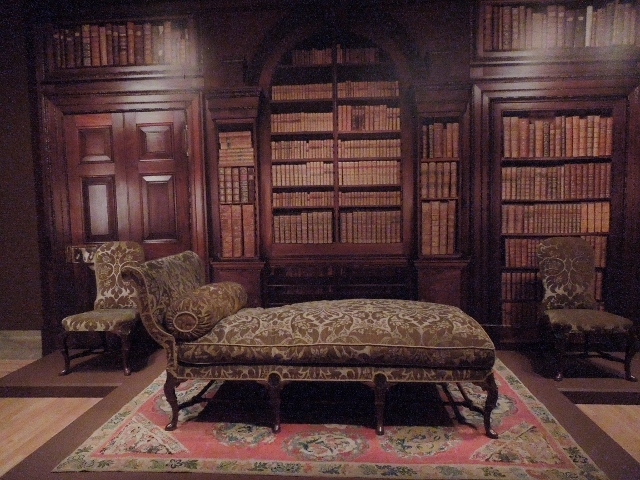 The galleries have videos of the actual rooms, so ornate they are stunning! I’ll give you a link to the real Houghton Hall below, and look in the bottom row for the room with the bright blue wallpaper shown below. That same room has a lavish bed for a child, the grandson of Sir Robert Walpole, a christening gift from the child’s godparents, King George II and Queen Caroline. The bed is in San Francisco, too. This page of the website of Houghton Hall, Norfolk, England, has a dozen small photos you can click on to enlarge. 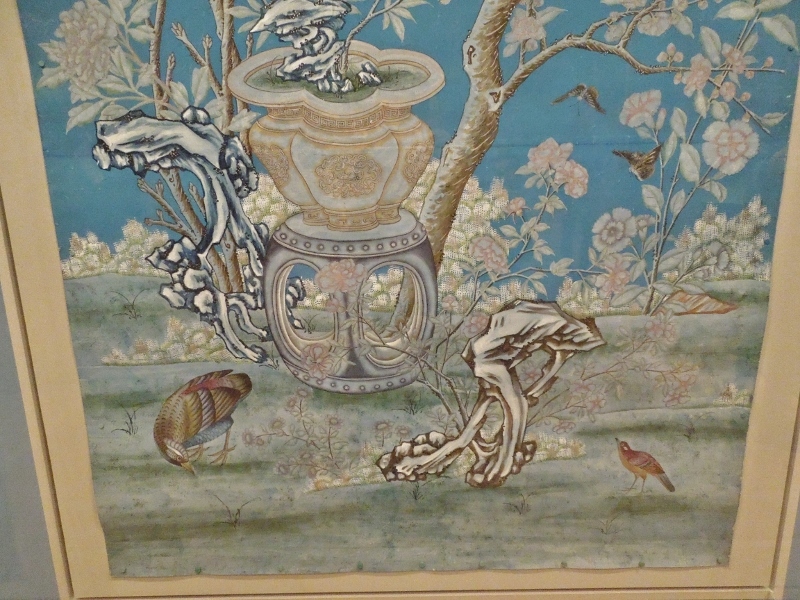 Wallpaper hand-painted and -printed in China about 1780. From Houghton Hall.